Check out this easy California-Style Ham Sandwich Recipe. 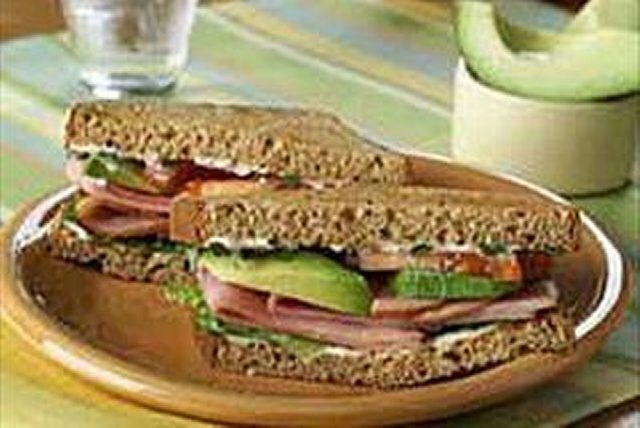 This California-Style Ham Sandwich Recipe incorporates ham, avocado and MIRACLE WHIP Dressing. Spread toast slices with dressing; sprinkle with basil. Fill toast slices with remaining ingredients. Serve with fresh crisp CLAUSSEN Pickles. Substitute a dash of dried basil leaves for the fresh basil.